Winter is here. Don't Get Frozen Out! Yes - Napa Valley does freeze in the winter! We can even get snow for those of you who have not seen a proper winter here in our famous wine valley. 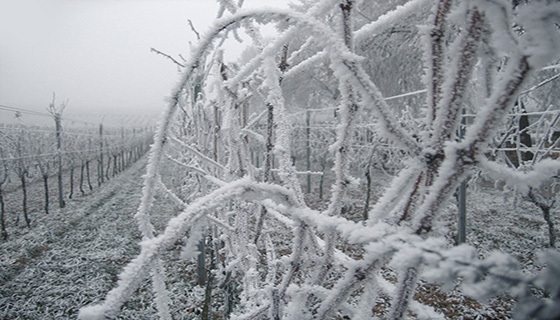 Freezing weather is great for plants like grape vines and fruit trees to give them a good dormant stage for killing off pest and setting fruit later in the spring. However it is not kind to your pipes if they are left exposed to the cold weather. Any pipe exposed to cold air can freeze. Indoor pipes that run along an outside wall, under the house and of course hose bibs are vulnerable. Be sure you know where to turn off the water to your property in the event a pipe freezes and burst. For help winterizing your home give us a call - we are here to help. Empty and roll up hoses. Inspect and repair/replace window caulking, thresholds and weather-stripping. This is the perfect time to winterize your home. Gutters and downspouts need to be inspected to see if they are working properly. Most will need to be cleaned and some replaced. A new gutter system can add beauty and style to your home as well as protect it. Siding and windows take a beating if the rain is not directed away from them. Worse a system that is not set up properly will allow water to run under your home causing health and structure damage. Because of its reasonable cost and the variety of ways to apply and formulate it, stucco siding has been used for centuries. 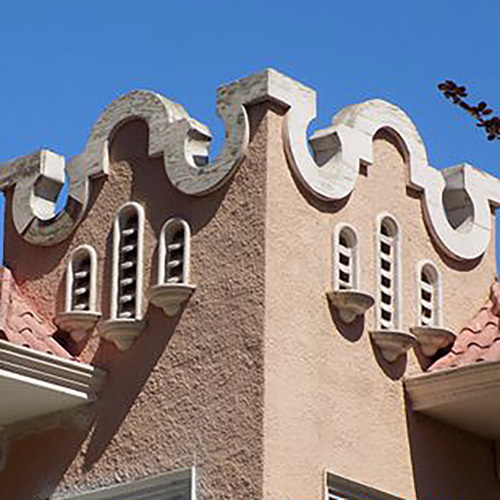 The advantages to natural stucco include fire resistance, a high degree of energy efficiency and low maintenance. It also expands and contracts with the weather, which minimizes cracking. 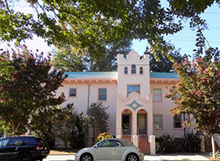 Stucco can last many years before it needs to be refurbished or replaced. If you're looking for a siding option with little to no maintenance, then stucco is an excellent choice. Some homeowners don't like the stains that stucco tends to attract, so light pressure-washing is common. Hairline cracks can be easily fixed by a professional. For an estimate on new stucco siding for your home or to clean/repair your existing please give us a call for an appointment. For this recent install our crew didn't even have to pull out their camo gear to get the job done. We were called on recently to properly place this impressive specimen on a wall for the Bounty Hunter - Wine Bar & Smoking' BBQ. Check it out when you have time. Their website is - Bounty Hunter Wine Bar & Smoking' BBQ. Alpine is all about getting the job done. Bring us your projects and we will put together a plan to make it happen. Summer is beginning in the Napa Valley. How many of us are busy and thought, "I need to get so much done before summer"? "No more yard work! 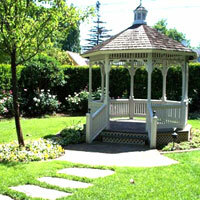 I love coming home and the yard was landscaped with drought resistant plants and ready for summer!" "Knowing Alpine was coming when my toilet broke and water was running down to the floor below was a life saver. 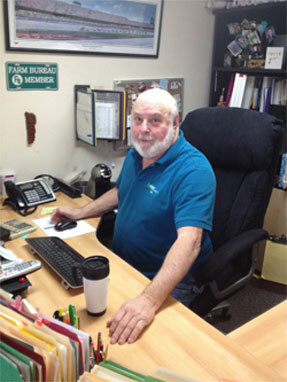 The response time was amazing and saved me thousands of dollars of water damage." "Having the Alpine crew on-call for our complex is easier when tenants move out and we can schedule the repair and painting ~ no more maintaining an hourly staff we don’t always need." So if you are in need of repairs on your rentals, your own home, or vacation home give us a call! 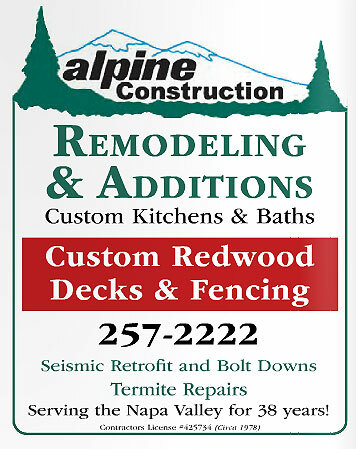 For all of your remodel home and garden needs Alpine Construction continues to be the local company to call for Napa home owners. We can make your outdoor space become as accessible and inviting as inside. A great design and quality materials will make this home improvement project an asset to your homes value. Spaces can be lighted, heated, covered and more. 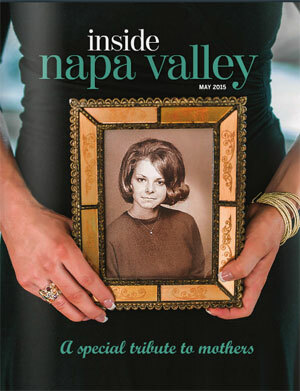 Check out our ad in the May addition of the magazine "Inside Napa Valley" and call us today for your free consultation. You may have noticed our new paint job on the work trailer. It is a privilege to be part of the family -so to speak- while we get your job done. To minimize the intrusiveness we have painted the trailer to look great while letting your neighbors know you have hired the best local general contractor. One of our aims is to keep a clean work site during the construction and leave your resident or place of business clean and orderly. It says "36 Years - But Who's Counting". That means we are part of the community and here to stay. Give us a call for a free estimate for your next project. Side View of trailer. With interest rates still low we are looking forward to our clients being able to add that needed extra bath or new kitchen they have been dreaming of. New options in building materials will make choosing the plumbing fixtures, tile and other elements the hardest part of the project! Alpine Construction can stream line the process and get it done on time and on budget. 2014 was a busy year for Alpine Construction. The biggest event was the earth quake which literally shook us out of our beds and into our work boots. After checking on family and friends were working from daylight to past dark to help get our community put back together. 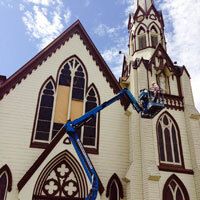 This photo is the lift truck we loaned to the church to get their windows measured after the quake. More photo's of the quake will be posted here and on Facebook in the near future. "My back deck has a deck over it that is not waterproof can you help with that? " You will be glad to know there are solutions for that exact situation. We can now use a system by TimberTech that has a collection system to direct the water off and way from your deck. Dry Space System might just be the solution you are looking for. Give me a call and we can talk it over. "I need a new handrail for my front porch and deck. Can I design it anyway I want? " Yes and no. The local building codes require that you follow their safety guidelines. Residential and commercial remodels will have different considerations too. However they do leave room for some choices. TimberTech has a nice looking rail that can be installed to suit your needs. Getting a contractor to do it right the first time will save you headaches down the road for resale and liabilty issues. 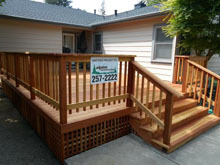 Check out their product here: TimberTech Hand Rails Give us a call to see more choices and for a free estimate! "Hey Al, I am thinking about getting a new door to update the look of my home like your blog suggested. I will need new hardware too and am thinking about the new keyless entry systems. What do you think about them?" The new systems certainly have a nice "up scale" look. Like anything else they have some pros and cons you will want to consider. * Parents can allow teenagers the ability to let themselves in without having to supply a key that can be lost or stolen. * You can also have one that will also function with a traditional key as well. * Keeping that code confidential is imperative. * Making sure the key pad is kept clean so no on can guess your code. * This could be a pro or con but the keyless entry will cost more. Another one of those "you get what you pay for" things in life. "Why should I hire a general contractor for just painting? " For the health of your family our certified lead experts will check your home out before beginning any work. Some older homes still have lead paint in the original layers that need to be correctly removed. I can not emphasize enough how important prepping the walls and other surfaces is to get the lasting results you want. Our painting contractor will include in the estimate the type and amount of surface preparation needed to create a long lasting foundation for your beautiful paint. Also ,when and if, you choose to sell your home you will be able to proudly share with the buyer that the work was done by a licensed contractor in the disclosures you will be asked to fill out. This gives the buyer confidence that nothing is hidden under the paint to cause them (or you) problems in the future. "Do you do all of your own work?" As your general contractor, coordinating all the facets of a project from start to finish is my job. I often use qualified subcontractors to do key parts of the project such as electrical or flooring to minimize the cost to you and assure you're getting the most current techniques for each component of the project. I have a core group of local people who are tried and true that I use, leaving my workers to concentrate on what they do best. It is a win-win situation for us as well as the home or business owner who hires Alpine Construction. "What can you do for a chimney damaged in the recent quake?" Your chimney can be replaced, repaired or removed depending on local building codes and your budget. The most important thing is to get it checked out for health and safety reasons. Chimneys may not even show damage but could be dangerous to use or in danger of falling. Give us a call and we will check it out for you. "Is it important to get a written bid for my project?" Any professional will always give you a written estimate/contact. We go over it with our clients, adjusting as needed to ensure that it carefully spells out the scope of the project, start and end dates as well as payment schedule. Our contract will apprise you of any permits that are required to be pulled so that your remodel is an asset to the value of your home or project. An experienced general contractor will write up any changes you need during the project in what is called a "change order". This will clearly explain the change, any cost involved, and it the time frame is to be extended . Good contracts make for a good experience all around.